Written in 1934, Lillian Hellman’s potent exploration of the power of lies – and the culture of fear which allows them to thrive – remains startlingly relevant in our era of “fake news” and online deception. Lifelong friends Karen and Martha are the headmistresses of a prestigious all-girls boarding school in a small New England town in the months preceding WWII. When a vengeful pupil whispers a rumour that the two women are having an affair, it triggers a devastating chain of consequences, entangling their entire school in this toxic story of deceit. At the peril of destroying their careers, their relationships, and their lives, Karen and Martha courageously risk public shame and fight for the truth to be heard. 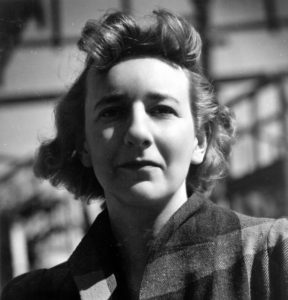 Lillian Hellman (1905-1984) was an American playwright, screenwriter and memoirist. Her debut hit The Children’s Hour premiered in November 1934 and ran for 691 performances, setting a new record for the longest single-venue run of a play. Despite the success of The Children’s Hour, the play was boycotted by the Pulitzer Prize selection panel and banned in Boston, Chicago, and London. This controversy became a recurring theme in Hellman’s life. According to a 1941 New Yorker profile, Hellman was the kind of “tough broad” who “can take the tops off bottles with her teeth.” She was vehemently anti-fascist and, amidst a fraught American political climate, Hellman was called before the House Un-American Activities Committee (HUAC) in 1952. Refusing to name names, Hellman famously proclaimed, “I cannot and will not cut my conscience to fit this year’s fashions.” As a result, Hellman was black-listed by the American film industry, however, she still reached success during her lifetime, with the adaptations of her writing receiving Academy Award recognition. A self-proclaimed rebel, and so-called ‘difficult woman,’ Lillian Hellman was a prolific writer, a controversial iconoclast, and a 20th-century literary institution. Beginning at Victoria’s McPherson Playhouse Peter has enjoyed a 30-year career in the professional theatre that has included stage management, production management, talent management, administration and producing. He has worked at several major regional theatres including long-term residencies at the National Arts Centre, the Charlottetown Festival and the Stratford Festival. He has toured regionally, nationally and internationally, and worked for the Maybox Group of theatres in London’s West End. Between 2003 and 2005 he was the Associate Conservatory Director at the American Conservatory Theatre in San Francisco. Happy to be back at the University of Victoria, Peter currently teaches acting, directing, production and management, and theatre survey courses to students from across the campus. 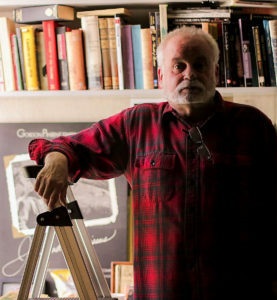 He is the recipient of two Tyrone Guthrie awards. Peter holds a Masters degree in directing from the University of Victoria. Includes sensitive material that may trigger some individuals. If concerned, please inquire at the box office for details.